Being in a situation where you just can not keep up with the payments due on your credit cards or other unsecured debts can be very stressful and fearful. You have several options to help you get through this (which I'll talk about later), but it is very helpful if you have a basic understanding of how the debt collection process works...legally, that is! Once you start to fall behind in making at least the minimum payments required, you will start to get calls and/or letters. The original creditor usually starts with a letter saying something like"
"Your account is seriously past due and you must call us immediately to arrange repayment or your account may be charged off and turned over to a debt collector or attorney." What the original creditor really wants is help you start making some kind of payments again. They really don't want to lose you as a customer or to have to charge off your account as a bad debt. Most major credit cards or other lenders have in-house collection departments that will attempt to get you to pay. As long as your account is still with the original creditor, they have the right to call you in regards to that accounts. Now, once that account is transferred or sold to a debt collector, then you can stop the calls. I'll show you how is just a minute. If you have the ability to get caught up and keep your account from being charged off and turned over to a debt collector, you should do so. But, BEWARE of a so-called "Hardship Plan" offer! Your creditor may offer you a 6 month, lower payment and/or interest to help you get "back on your feet". These"Hardship Plans" are usually not in the consumer's best interest and you should really examine the offer before agreeing to it. After your account has been delinquent for about 3-4 months with no payments, most of the time, the creditor will transfer or sell your account to a debt collector. Now that your account is with a debt collector, you may be able to negotiate a SETTLEMENT for less than the full balance due. Most debt collectors will work with you and will follow the law as laid out in the Fair Debt Collection Practices Act or FDCPA. A debt collector can and cannot do certain things in an attempt to collect a debt and it would be worth your time to familiarize yourself with your rights under the FDCPA. Beware of Debt Collection Scams!!!!! Once in a while you may get a call, letter or email from a debt collection scam company. If you want to stop the garnishment deductions from your paycheck, you must obtain a release or pay the entire amount you owe, which you can pay with the help of Money Gram, Western Union, OneVanilla Prepaid Visa Card and American Express Prepaid Debit Card in order to close this account. Not only was this a scam, but also illegal under the FDCPA! A debt collector cannot threaten that you will be arrested! Yes, a debt collector may choose to FILE A CLAIM concerning your account. You would receive a SUMMONS, and if a settlement could not be reached, a JUDGMENT may be awarded to the plaintiff (collector). Then, and only then, could the plaintiff seek payment via wage garnishment or bank levy. But, even these have restrictions and limitations. I've written several blogs about WHAT TO DO IF YOU RECEIVE A SUMMONS, and it may help you to check out. If you ever receive a call, letter or email from a company like this, DO NOT REPLY, but contact your state's attorney general's office immediately. If you live in Oregon, click here. So, do not be tricked into one of these collection scams! When your debts are just too much to handle, you have several options, but do not fall prey to one of these crooked scams! Help, I Received a Summons! If you don't read the summons carefully, it seems like it says that you have 20-30 days before you have to go to court. But this is absolutely NOT TRUE! The summons is stating that you have a brief time period to file an ANSWER. This is a formal denial of that you owe the debt. In most cases, the DEFENDANT (that's you) doesn't need to file an "answer" as you do owe the debt. But if you feel that you have repaid the debt or that the debt does not belong to you, by all means file an "answer". It may cost you a hundred bucks or so, but that is just the cost of the court. You will want to contact your court to find out what you should do. In very rare cases, you may need to hire an attorney to help. #2 DON'T IGNORE THE SUMMONS! We had a client that received a summons several months ago and did not tell us about it. She called the other day to say that her wages were going to be garnished and "what can you do about it?" 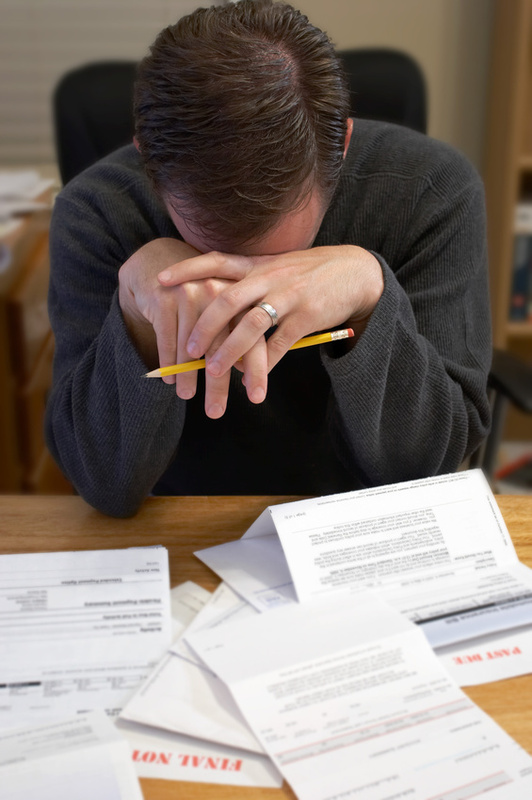 In most cases, there is not much that can be done once a Writ of Garnishment is issued. A WRIT OF GARNISHMENT is issued after the creditor or PLAINTIFF, wins a DEFAULT JUDGMENT. Since we had no idea about the summons and subsequent legal procedure that led to the award of the judgment, we were in a bind! Once the Writ of Garnishment is issued in most states, 25% of your net (after tax) income will be withheld by your employer! For most people, this would be FINANCIALLY DEVESTATING! Let's say you make $18 an hour. That's about $3,000 a month gross earnings. If your employer withholds normal income taxes, that would mean your take home would be about $2250. A garnishment of 25% would be about $562.50! If it's hard to make ends meet now, how could you do it with $562 less? If she had contacted us about the summons as soon as she received it, we most likely would have negotiated either a settlement (maybe 50% or so of the balance) or a Stipulated Agreement, whereby she would repay the debt (often at a slightly reduced balance) with a monthly payment her budget could handle. In some case the creditor will accept a stipulated agreement AFTER a judgment is awarded, but not always. 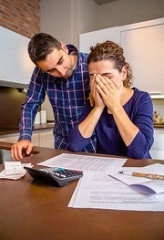 Unfortunately, although her creditor was willing to take a little less that the $562.50, she could not afford it and she was forced to seek a bankruptcy attorney's services! #3 REMEMBER THESE IMPORTANT STEPS! If you have receive a summons and are still not sure what to do, WE CAN HELP. Give us a call AT 1-877-492-4109 OR click the link below! The doorbell rings and you are handed a summons regarding one of your past due credit accounts. What do you do when you receive a summons? You are not going to jail! You will not have to go to court! They are not going to garnish your next paycheck. They are not going to garnish your bank account. They are not going to come take all of your belongings! After numerous phone calls and letters, a creditor may decide to start legal action in order to collect the debt that you owe. Not knowing how the process works, most people are intimidated and somehow find a way to pay the entire debt. Once you understand the summons process, you will find that you can still settle that debt for less than the full balance. An answer is your side of the story that you would file ONLY if you feel you do not owe the amount of the claim. Even though you don't like the additional interest, late fees and now court costs, you still owe that as part of the debt. 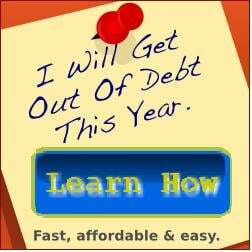 If you owe the debt, there is no reason to spend the time or money for an answer and, YOU DO NOT NEED TO GO TO COURT. Contact the attorney for the plaintiff (the creditor). If you are employed and receive normal W-2 wages, you need to try and work out a repayment plan so they do not proceed with the legal action. If you are a Debt Relief client, you can skip step #5 and CONTACT US IMMEDIATELY by faxing or emailing the summons to your negotiator. We (DRNW, Inc.) will contact the attorney for the plaintiff on your behalf, and we will most likely be able to negotiate a settlement based on a repayment plan to stop the legal action. Although we cannot guarantee that we will be able to negotiate a sollution, we are successful about 99% of the time!